A long weekend is the perfect time to flex your DIY skills and create something with far more character than any flat-pack purchase. Treated properly, charity shop furniture can look stunning and can be completely transformed with just a lick of paint and some paper. And voila! You have an item and that is completely tailored to your taste. 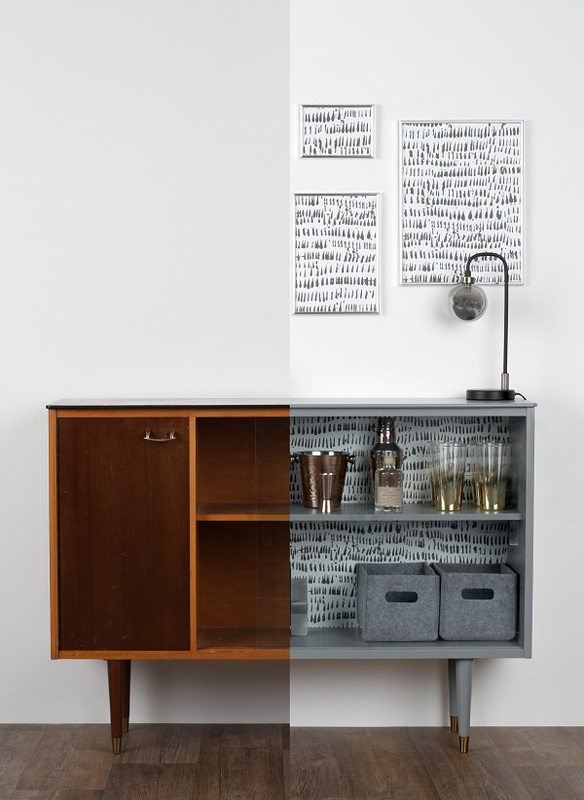 Here’s how the people at Rust-Oleum upcycled a vintage sideboard found in a British Heart Foundation charity shop for just £15 and turned it into a mid-century, modern display unit. 2. 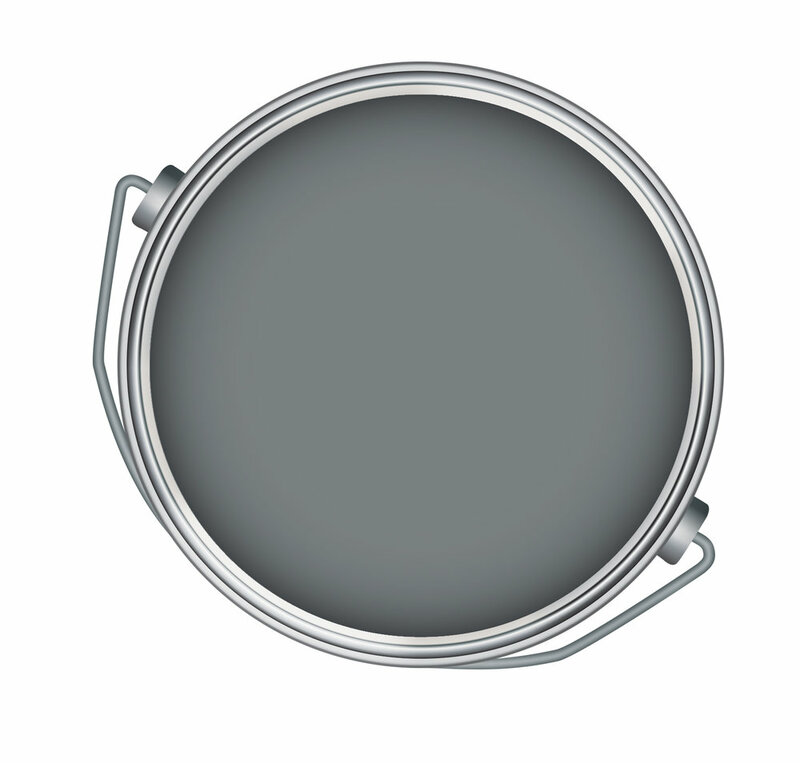 Take your can of Rust-Oleum Satin Finish Furniture Paint (we used the colour Slate) and stir thoroughly. Rust-Oleum Satin Finish Furniture Paint, now available at Dunelm, is perfect for upcycle projects, as this clever one-step paint requires no sanding, priming or topcoat. The superior, silk-touch satin finish comes in two of Rust-Oleum’s most popular shades, which have been carefully curated to enhance contemporary interiors. Wine coolers are a refrigeration unit which is designed to maintain wine at their optimum storage or serving temperatures. 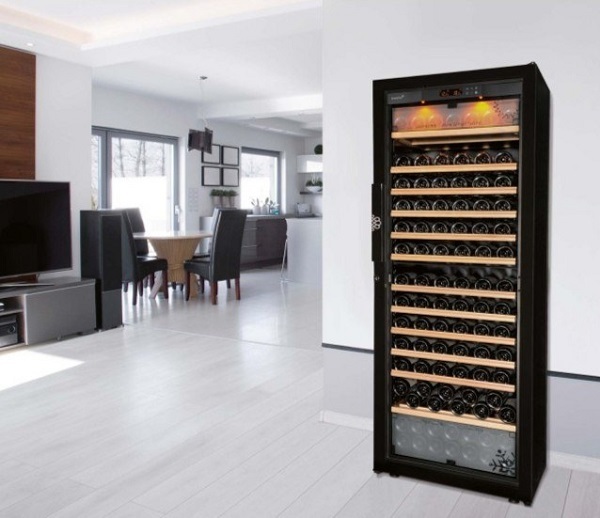 In order to be classified as a wine cooler, they need to prove that they can manage: temperature, humidity, light and vibrations. A wine cooler will maintain the temperature in the cabinet to between +/- 2°C, in practice the wine coolers cooling system will kick in when the temperature reaches 2°C above the set temperature and turn off when it reaches 2°C below the set temperature. In order to maintain the temperature of the wine, the average temperature reading will always be the set temperature. It takes a lot more energy to change the temperature of the liquid because of the thermal mass. The humidity is managed through a system which allows the wine cooler to maintain the humidity above 55 and below 85% and some wine coolers have new equipment to allow you to set the humidity level. If the air is too moist in the wine cooler, during the cooling phase the excess water will condense on the back wall of the cabinet, which will then find its way down to the water channel and into the container during the off phase. The excess water will then evaporate off. UV light is very important, wine will be adversely damaged by UV rays which will cause irreversible damage. Although the wines are somewhat protected by the glass bottle, there is still a chance that this will not fully protect it. For this reason, a wine cooler will either have a solid door, which will prevent any UV rays entering and also allow full darkness inside the cabinet, or the wine cooler will feature a full UV protected glass door which looks much nicer in the flesh but also protects the wines. Vibration is key, in a wine cellar, the bottles are moved maybe once a year so they basically see very little vibration or disturbance throughout their ageing period. A wine cooler needs to mimic this, so the compressors are mounted on rubber mountings to ensure there is no unwanted vibrations. Excess vibration will cause the wine to go sour as it will encourage unwanted reactions to occur. The difference between a wine cellar and a wine cooler is primarily that a wine cellar will maintain all of the above without having to have electronic interference. A wine cooler will effectively imitate a wine cellar, they do this well, much better than a standard refrigerator. However, a wine cellar will be much better suited for long term storage of around 10-15 years. A wine cooler will store your wines reliably, but is best suited for wines that will be drank within the next 5 years or so. The good thing about wine coolers is that they are extremely versatile, with a wine cellar its sole purpose is for long term storage and to be honest unless you want to be showing your wines off all the time nobody is going to see it. A wine cooler is available in many different model types to suit different lifestyles, capacities and the space that is available. If you need more information with regards to wine coolers and wine storage, contact Elite Wine Refrigeration for a wide range to suit all budgets. Do you often wake up from a restless night’s sleep? If so, it’s likely that your mattress is the culprit. If your mattress isn’t giving you the chance to get that soothing and satisfying sleep experience you deserve every night, then it’s time for a change. To help you know what to look out for, here are 5 signs that your mattress needs replacing. When you frequently wake up to nagging pains in your neck, shoulders, and back; it could indicate that your mattress isn’t giving you the support you need. Overtime, your mattress will eventually lose its ability to support your body’s pressure points, leaving you to be held up by the springs. Low quality springs, such as those in cage sprung beds, will only exacerbate your aches, pains and sores. Age is important when it comes to your mattress, and unfortunately they can never keep the same level of quality indefinitely. The average lifespan for a mattress is actually around 7 years, after which you’ll need to think about a replacement. With proper care and consideration, such as turning and rotating, your mattress could last a little longer than this. However, in the majority of cases a mattress that reached this age will start to leave you struggling to sleep well at night. Restless sleep and particularly back pain can be caused by a sagging mattress. This is caused by a number of things, such as when poorly layered or thin comfort layers in the mattress compress. If your mattress contains a cheaply made sprint unit, it too can fail, leading to irreparable sagging that can force you into an uncomfortable sleeping position. Your mattress can still leave you feeling like you’re being swallowed up even when there’s no noticeable sag. This can again be down to compression or even the breakdown of foam layers. It’s always best to choose a luxury natural fibre mattress designed to give you lasting support, and one that’s protected against sagging thanks to having high GSM upholstery layers. Sneezing, wheezing and coughing constantly at night could be a sign that your aged mattress is suffering from dust mites. Unfortunately, they are one of the most common allergens and will pretty much always have a presence in your home. However, an old mattress that hasn’t been cared for, can cause their numbers to thrive. 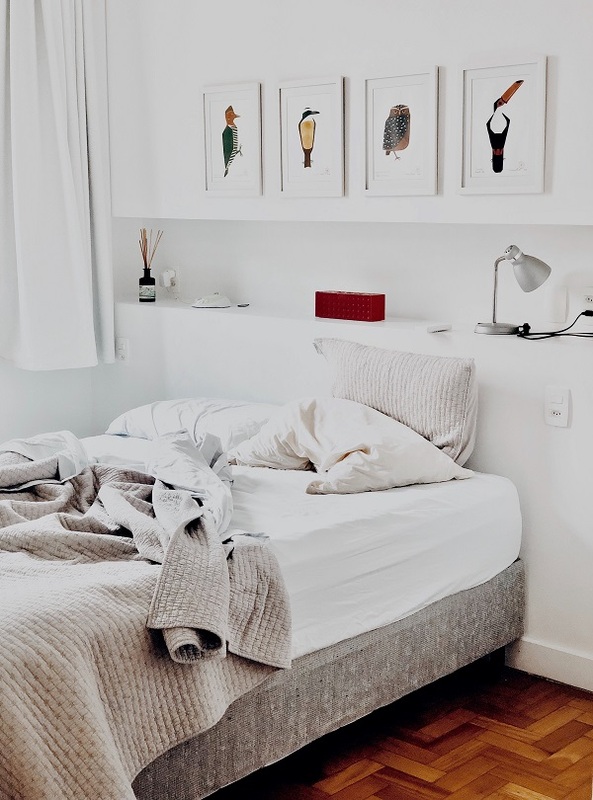 Although, frequently washing pillows and bedding and using a dust mite resistant mattress cover can help to mitigate the mites, it may be time to consider getting a completely new mattress to put an end to the problem. Everyone’s weight can change; either because of a sudden change in lifestyle, your diet, your age, an accident or even after surgery. Even if your mattress is in a good condition, it may no longer offer you the support it once did if your weight has fluctuated significantly. Getting yourself a suitable mattress topper, to add some firmness to the mattress and support your pressure points, could provide a temporary solution. However, it won’t do much to improve your sleep experience if your mattress is simply to soft, or lacks the support required to cater for your bodyweight. Now that the season of DIY is almost upon us, a kitchen refresh might be just the thing to bring your interior up to date. Ideal for those not wanting to undergo a complete kitchen overhaul, an accent wall can help you to make a distinctive statement in the heart of the home. When it comes to the colour choice, it ultimately comes down to personal preference and what will work best in the scheme. Whether you’re looking to add a splash of colour to a sleek white scheme or wanting to complement wooden cabinetry and accents with more earthy tones, there are endless possibilities when it comes to accent wall colour choices. Opting to paint your kitchen cabinetry provides you with the flexibility to work with a varied palette. If you want to stick to white or a lighter shade on your walls and worktops, a darker paint on your cabinetry can create a truly standout scheme whilst a complementing neutral shade will also provide you with subtle colour variations without overpowering the space. It might be hard for some to believe, but with the right preparation, any type of kitchen cabinet can be painted. 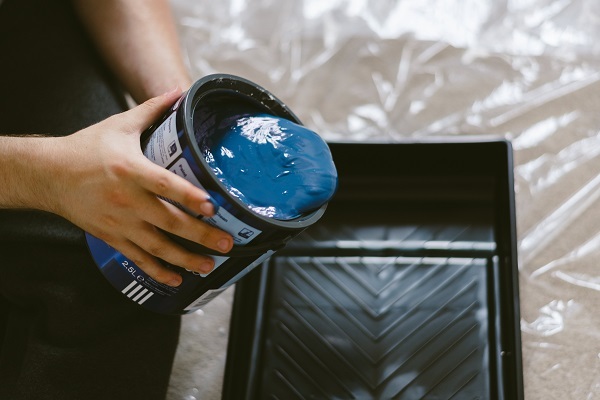 Even a glossy or laminate cabinet can be painted as long as the surface is primed with an adhesion promotion primer first. For the ultimate wow-factor, fully embrace your chosen colour scheme and paint the same shade across your walls, cabinetry and island. 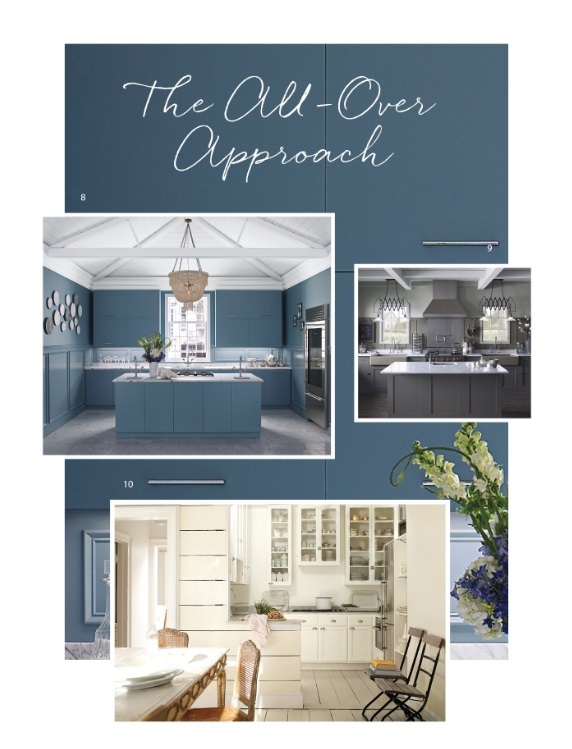 Whether you opt for a daring blue or an all-out white scheme, this approach to kitchen décor is guaranteed to deliver a beautifully cohesive scheme. 1. 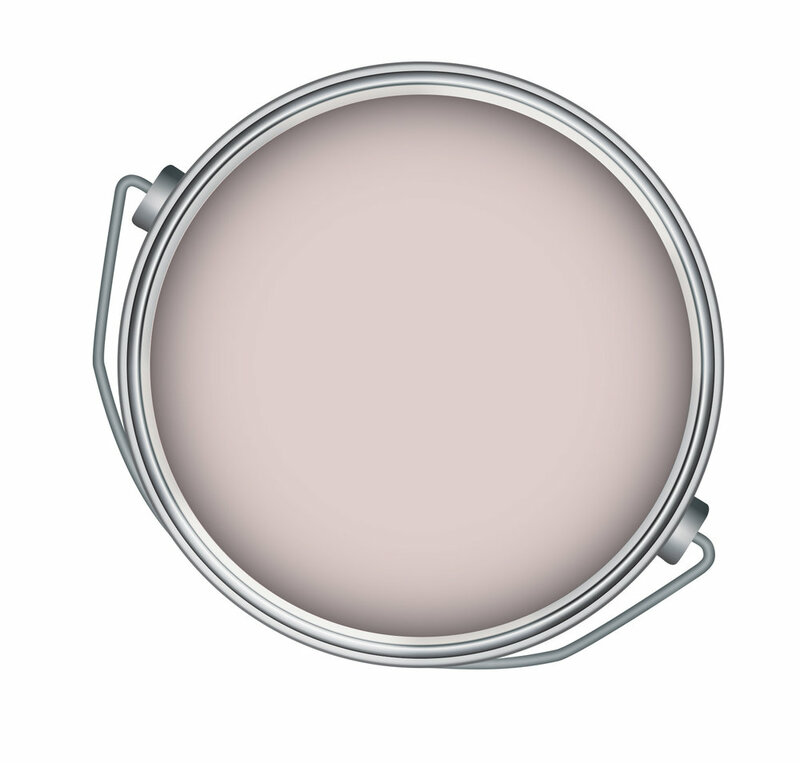 Wall - Louisburg Green (HC-113), Ceiling - Atrium White (OC-145), Trim - Atrium White (OC-145). 2. Accent Wall - Banana Yellow (2022-40), Wall and Ceiling Colour Paper White (OC-55). 3. Accent Wall - Tomato Tango (CSP-1145), Side Wall - Harbor Gray (AC-25). 4. Wall - Ochre (2151-30), Ceiling - Atrium White (OC-145). 6. Cabinet - Hale Navy (HC-154). 7. Walls - White Opulence (OC-69), Cabinets - Stone (2112-40). Cabinet - Iron Mountain (2134-30). 10. Cabinets - Simply White (OC-117), Wall - Mascarpone (AF-20), Floor - Mascarpone (AF-20). All from Benjamin Moore Paints. As you may already be aware, sleep is one of the most important parts of our day, as it allows our bodies to recover in a number of different ways. We are approaching the month of March which has been dedicated to highlighting the importance of having a comfy bed and having a good night’s sleep, so this seems a perfect time to address it. During the act of sleeping, this is when you can come across the most severe causes of chronic back pains. There are number of different ways you can avoid this, and it starts with your choice of mattress. There are mattresses out there that have been specifically built to help to distribute your weight equally when you sleep, this in turn, reduces the pressure on your back and joints. 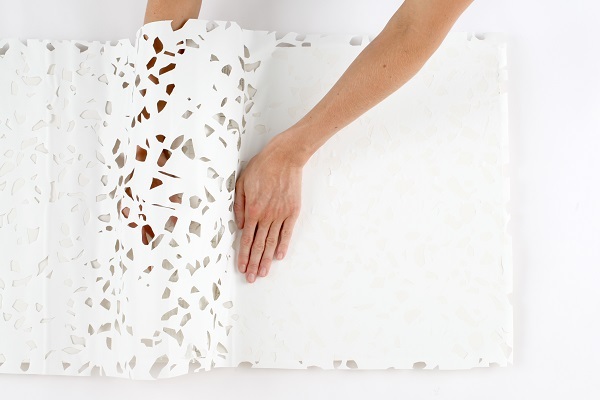 These wonderful creations are called orthopaedic mattresses, and they are revolutionising the way people sleep. Back pain is caused by you sleeping in compromising positions, causing your muscles to tighten. These mattresses help to reduce this stress. How can my bed help my allergy? Sometimes the wrong mattress can badly affect your allergies due to the dust that gathers on your bed. If you suffer from allergies, then you may want to look into memory foam mattresses. They are one of the most popular mattress choices on the market, and by far are one of the comfiest! They are what you call hypoallergenic which essentially means your bed won’t gather the dust that causes you allergy to flare up whilst you sleep. This will not only improve your sleeping pattern, but mean you are far more energized for your general day to day activities. The great thing with memory foam mattresses is that they use the heat from your body to mold you shape into the mattress, thus, improving your posture and providing you with a great night’s sleep. They are also what you call, shock absorbent, meaning you also won’t be disturbed by a fidgety sleeper, improving the amount of sleep time you get. The answer to this question generally depends on your age, with the older you get, the less sleep you actually need (even though you feel like you need more!). It’s very important, the average adult ensures they get at least 7-8 hours’ sleep a night to fully ensure your bodies recover from the previous day. For children, teenagers are infants however, they need more sleep and rest time. For teenagers (ages 13-18) around 8-10 hours is about right. For infants between the ages of 4-12 months they will need (including naps) around 12-16 hours of sleep a day. As they grow older the amount of sleep needed decreases. 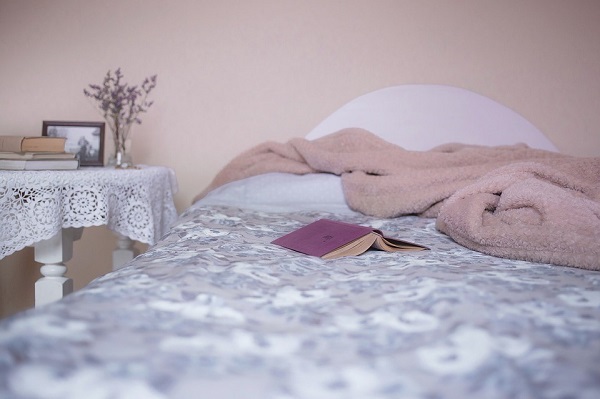 Make sure you make the most of your bed in March during National Bed Month. These are just some of the ways you can ensure you get the best night’s sleep possible, we hope our tips will help you in the future. Create your dream interior with grey tiles. If you’re planning on undertaking a remodelling project, choosing a colour palette is an important place to start. The colour of your walls and floors is going to determine the look and feel of your entire room. One trend in design that isn’t going away is the love of grey interiors. Grey is a perfect neutral, allowing you to complement any light or dark tones in your home. Grey tiles have seen a huge surge in popularity in the past few years, owing to their style and versatility. 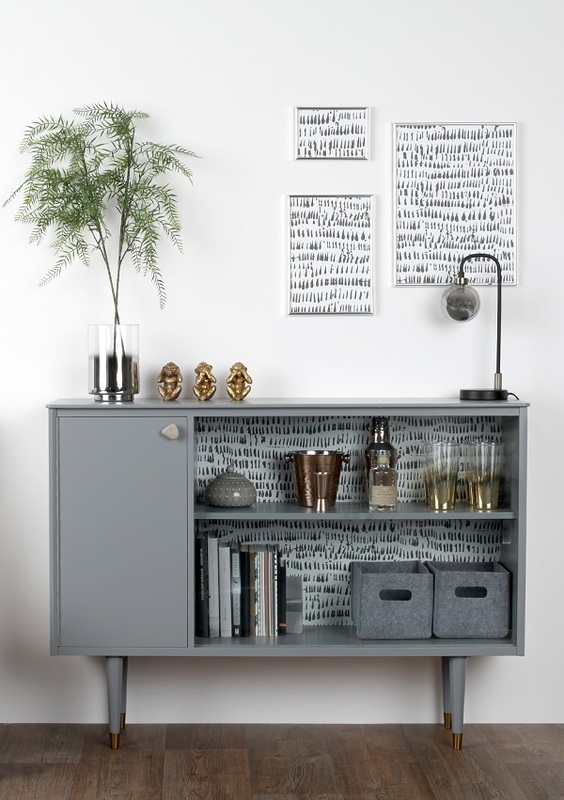 Effortlessly chic, grey provides an ideal back-drop to accentuate all those personal accents in your home. 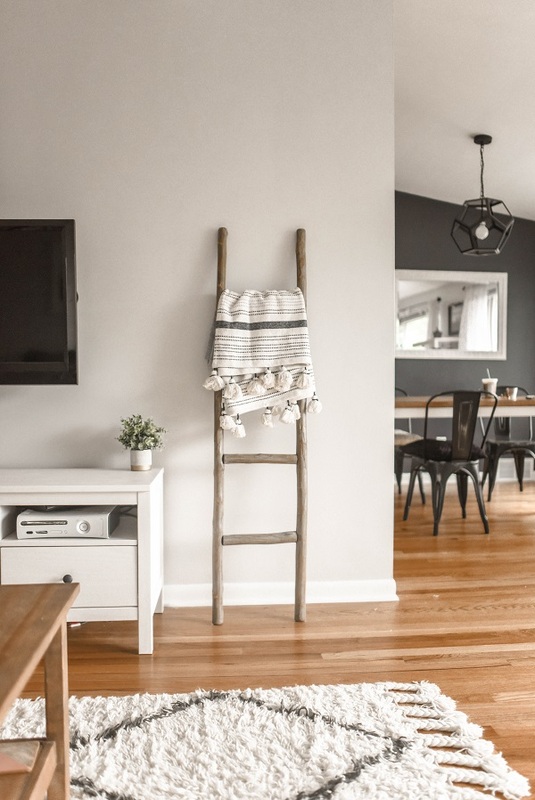 Bright greys are a fantastic way to open up a room without the glare of white, and dark greys are perfect for introducing atmosphere to any space. If you’re thinking of incorporating some grey tones in to your property, we’ve put together a look-book to inspire you. The industrial revival in interior design is one of the defining trends of the decade. Coordinating concrete-style floor and wall tiles is the perfect way to capture this look. 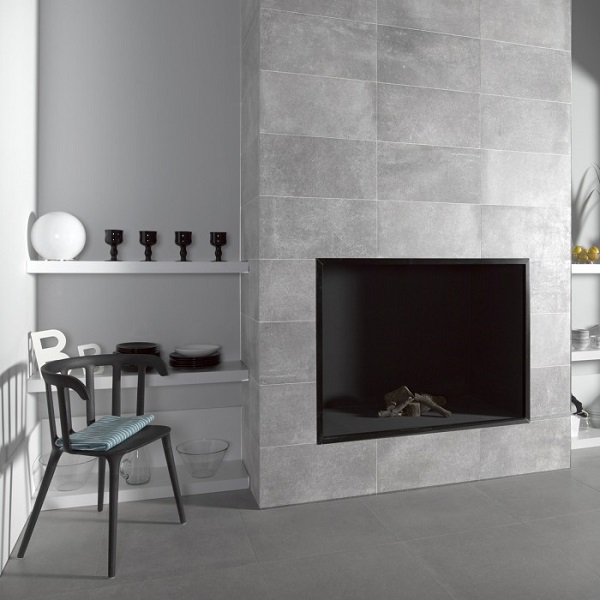 Lay matt grey porcelain tiles from floor-to-ceiling for a seamless aesthetic with an industrial edge. Add some finesse to the room with metallic accents. Mix traditional and contemporary trends by laying grey modern tiles in a herringbone style. This innovative way of displaying grey tiles is perfect for building a feature wall in your bathroom or kitchen. Mix and match tones for a visually stunning look – perfect for a feature wall or a creative kitchen back-splash. 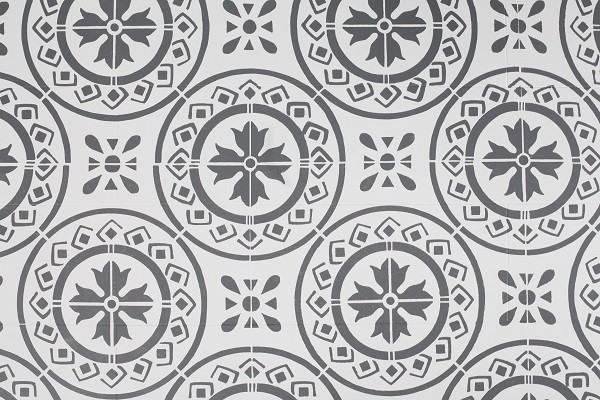 Patterned tiles are a decorating main-stay for creating eye-catching interiors. Choosing a grey colour palette updates these Victorian-influenced designs and adds a touch of luxe to any room. 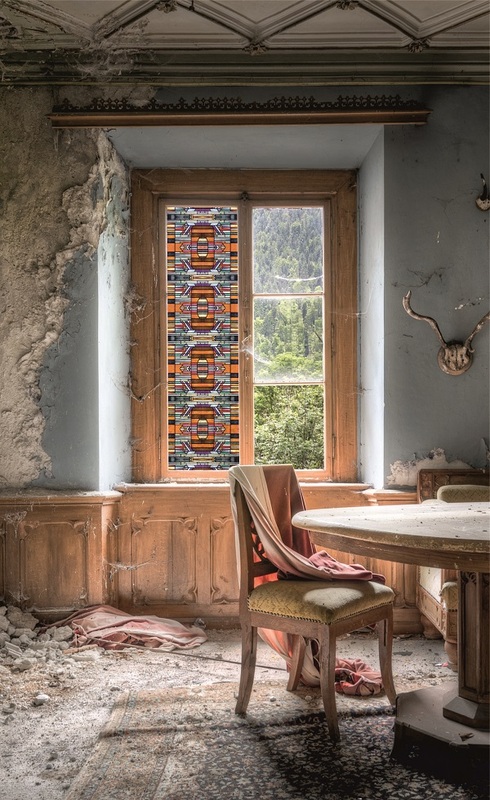 We recommend the artfully printed Nikea tile range from Crown Tiles. 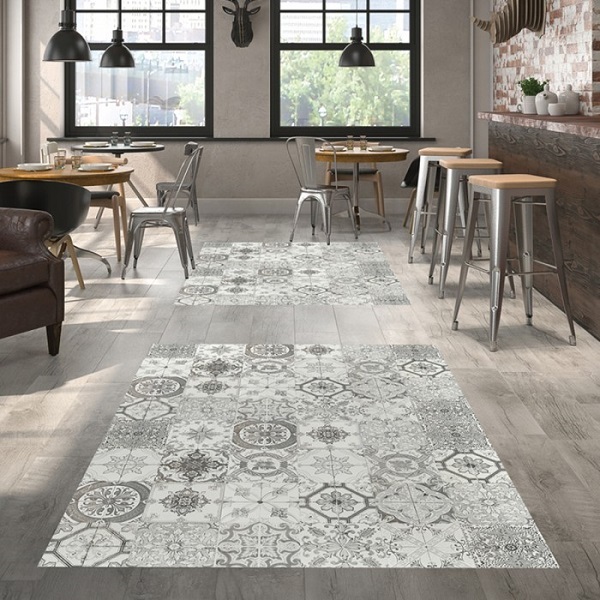 Using prints in a limited space is a great way to capture the broken-plan flooring trend, which makes any space look bigger. 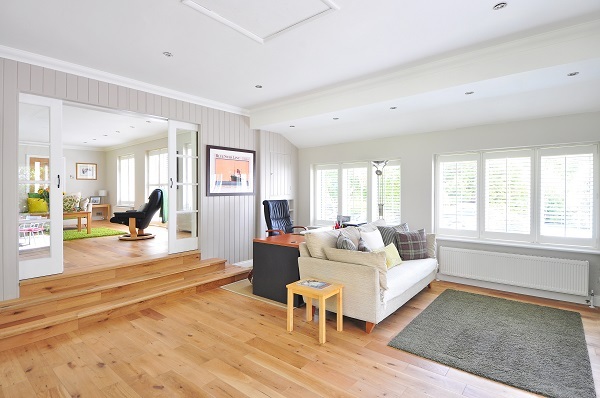 There’s no denying the popularity of wooden flooring. The natural look and texture of wood is ideal for making any house feel homely and it is undeniably timeless. Unfortunately, traditional wooden floors can be high maintenance. Wood-effect porcelain tiles are a perfect alternative, as they capture the look and feel of wood without the maintenance and cost. 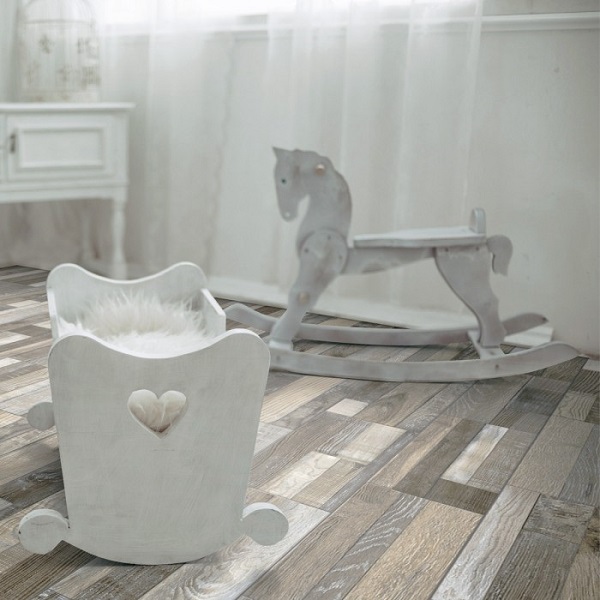 A high-quality wood-effect tile is a wonderful way to bring the outdoors indoors. 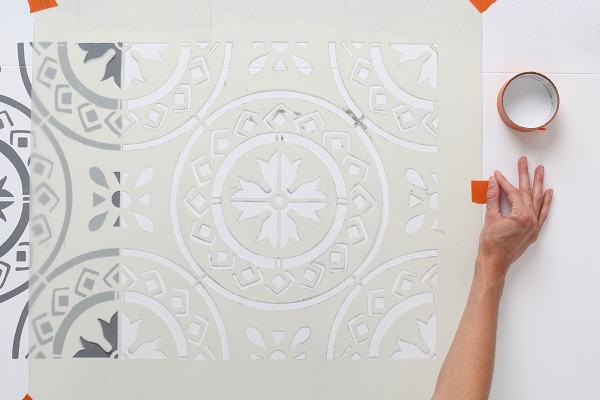 Creative tile shapes are becoming more and more popular. 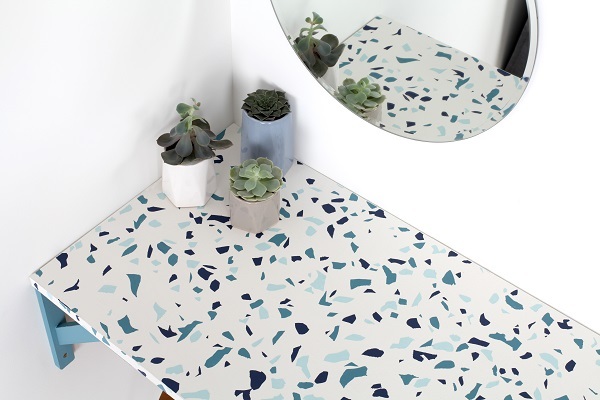 The humble tile has moved well past being a functional surface and is now a design feature of its own. Forget the traditional rectangle and elevate the style of your bathroom or kitchen with hexagonal tiles. Create beautifully geometric feature walls with different grey hues. The stunning honeycomb effect will push your home toward the cutting edge of interior design. 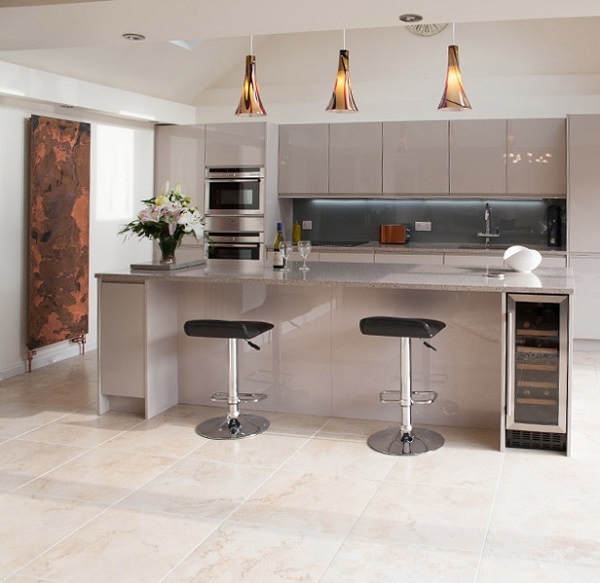 Grey floor and wall tiles are incredibly versatile, and their popularity means there are endless styles to choose from. They complement all colours and styles and will suit changes you make to your interiors over time. Choosing the perfect walls and floors for your next project can feel a little overwhelming, but hopefully these ideas will inspire you to create the space of your dreams. Installing a new kitchen can be an expensive business. Even more so if you want something that looks bespoke, is well built, and will last. In fact, designers have been using IKEA cabinets for years (a not so secret, secret) and fitting them with more stylish doors. But if you’re not a designer and you want to save even more money but doing your own installing, this is not always a workable option. 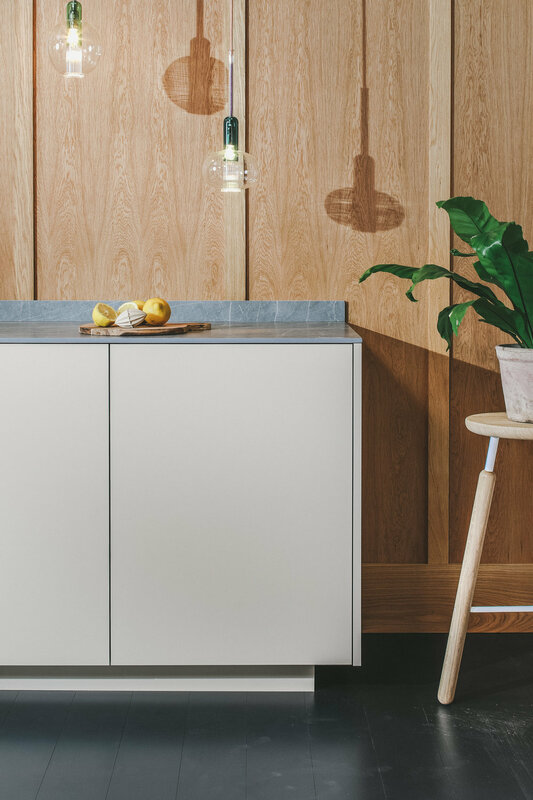 But now, there is a company who supply customisable kitchen fronts for standard kitchen units, including fixing locations for simple installation. Husk is a new company. It was launched in October 2018. They offer an affordable way to add custom elements to your kitchen. The fronts and countertops are designed to work with IKEA or Howdens cabinets, and materials have been chosen with durability in mind. There’s no need for maintenance and they are hardy enough to withstand busy family lifestyles. Designing a custom kitchen can be daunting and time consuming but at Husk the aim is to simplify the process, offering a carefully curated range of product which works well in almost any combination. Help is also at hand, with a free initial consultation either at the end of the phone or in their Bristol showroom. What’s more, they really do make plain kitchens look beautiful with styles that will fit comfortably in any home from period to new-build. And they are made in the UK too! Fronts, handles, sinks, worktops and taps all from Husk. LED Bulbs of Distinction - Achieve a Stylish, Authentic Look AND Save Money! Period, industrial and vintage lighting has been popular for some time now and until recently, incandescent Edison style filament light bulbs were the only tasteful bulb of choice. Whilst these bulbs looked beautiful, they were inefficient and led to high energy bills before the EU eventually banned the manufacture and import of these environmentally unfriendly light bulbs. First generation LED light bulbs were the answer to our energy consumption issues, being around 90% more energy efficient, however, whilst being a blessing for our pockets (significantly reducing electricity bills) they were certainly not a blessing for the look and feel of our interiors! The futuristic appearance of the original LED bulb does not lend itself to a period style of lighting or to becoming a beautiful centrepiece in its own right. Thankfully a second generation of LED light bulbs which replicate a more traditional style with multiple finishes of opal, clear and vintage filament are becoming available. Clever flexible LED technology means that the filament no longer needs to be straight and can now be formed into an Edison type spiral. Gone are the unsightly white plastic bases of the straight filament 1st generation LED Bulb and back are the elegantly classic glass and metal finishes we have come to love. The introduction of the Edison style filament LED light bulbs, like this stunning collection from The SOHO Lighting Company, ensures that the bulb can once again become a focal point or complement any period or vintage light. LED bulbs have long been the weak link in industrial style décor, but now you can create an ambience, complement your surroundings and add a real vintage twist with these beautiful filament bulbs. Why not try a vintage style GLS bulb in an industrial style floor lamp as an alternative option for quiet evenings in the living room? Or create ambience through amber-coloured Edison style candle bulbs in a classic wall light with multiple fixtures. These bulbs lend exquisite design impact to traditional, vintage and industrial style decors. Whilst first generation LED bulbs detracted from their surroundings, Edison style LED bulbs truly enhance them – utopia for those passionate about design and interiors. No longer must we compromise on looks for efficiency or efficiency for looks. Now we get the best of both worlds. Style and beauty is restored with optimum energy efficiency in an innocent bulb. See the full range of LED Edison style bulbs from The SoHo Lighting Company at Elesi. 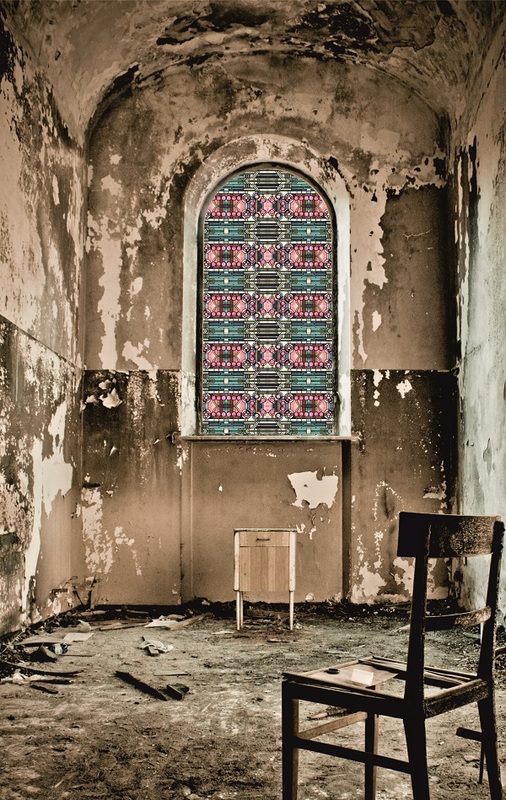 We’re big fans of decorative window film. It’s not just pretty to look at, it also has a lot of practical uses too. 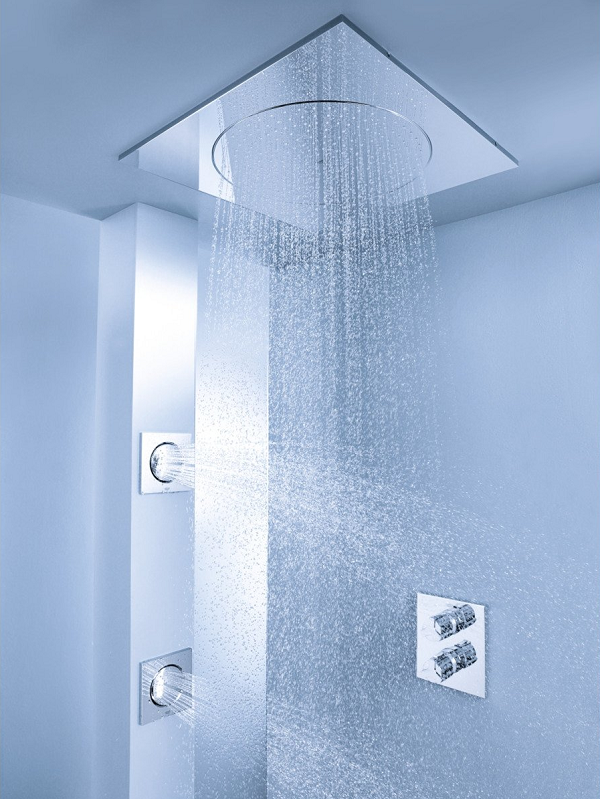 It’s perfect for creating privacy without sacrificing light in a bathroom or when a window is overlooked. It can add pattern and colour to a decorative scheme. Or re-install the illusion of period detail in rooms that have been stripped of all character. Some window films even offer solar protection to furniture and art without the need of installing heavy curtains or blinds. So when we saw these new designs at Purlfrost we thought they were worth sharing. 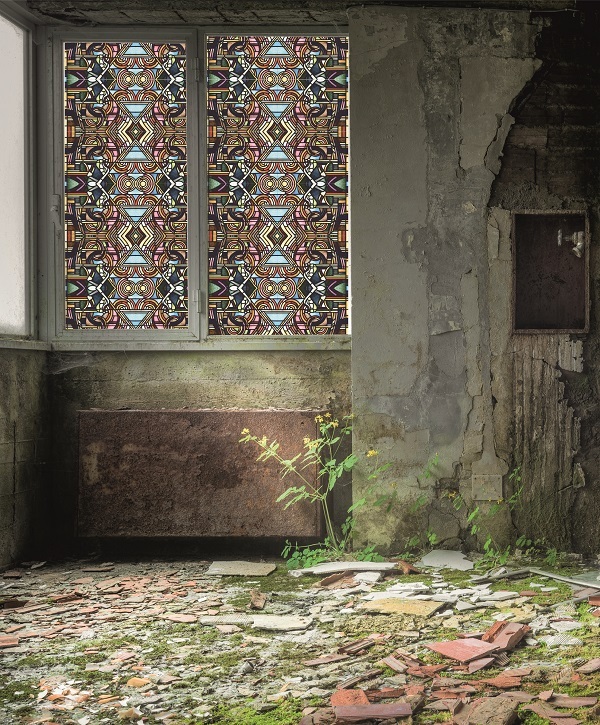 These stunning Art Deco seamless stained glass window film patterns were created using photographs of real period stained glass which gives the print added vibrancy and detail. 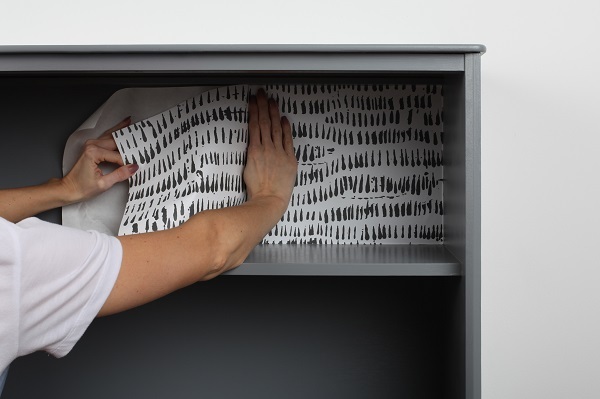 The pattern measures 60 cm wide and is repeated vertically and horizontally to match your window size. This design can be ordered printed on clear film for added colour vibrancy, or frosted film for added privacy (duller colours). What’s more you don’t need any diy skills to apply the film to your own windows. They are very easy to apply in minutes with a bit of soapy water and the application tool provided with your order. I can actually vouch for this having added window film to my front door at home. Prices start at £19.00 for a 50 cm x 50 cm film from Purlfrost where there are other designs too. 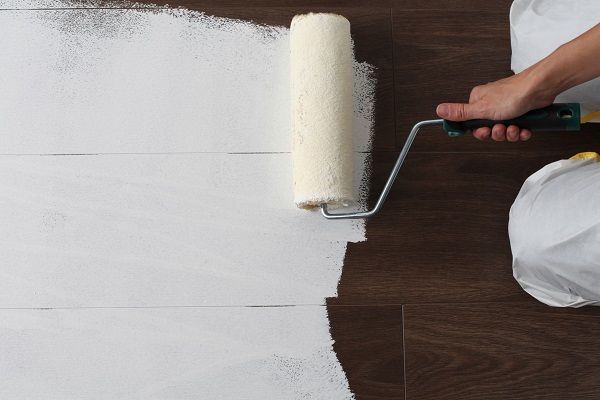 Installing new flooring in a home is a major investment. Not only does it have to meet with a long list of practical considerations, ie. hard-wearing, easy to keep clean, warm underfoot etc, it also has to look pretty darned good. The flooring in a room sets the scene, and nothing beats the look of wood for creating a warm and inviting interior scheme. So should you choose real wood? Or would engineered wood suit your needs better? Here’s a few benefits that might help you make that all-important decision. As opposed to solid wood, engineered wooden planks are made up of several layers of plywood that are glued together to form a stable and sturdy floor. The top and visible layer is in fact hardwood which makes it look and feel like solid wood. These floors are perfect when you want the rustic warmth of authentic wood floors without the hassles. The planks are resistant to fluctuations in temperature and humidity and don’t dent or bulge easily, so are highly durable floors and are compatible with under-floor heating too. Is Engineered Wood Flooring Less Expensive? The short answer is yes. It's a lot cheaper than hardwood floors without compromising on quality due to the multi-layer construction ensures that the planks are extremely solid, sturdy and durable. What’s more it will last for years without requiring a refinish. Is Engineered Wood Flooring as Hard-Wearing as Solid Wood? Yes again. It’s made of the highest grade raw materials, meaning that these floors can easily absorb daily wear and tear. In fact, the best brands offer a lifetime warranty on their floors for residential use, so look out for this when you purchase. Is Engineered Wood Easy to Install? Installing is quick and easy. Engineered wood floors are either laid using the floating method, or are glued down. You can install these floors easily even if you have minimal knowledge of carpentry. How Does Engineered Wood Rate on the Good-Looks Scale? With these floors, you can enjoy the traditional warmth and good looks of authentic wood flooring. The planks are available in a diverse range of wood species and shades to suit every décor. Furthermore, the surface is embellished with knots, grains and patterns that ensure stunning similarity to natural timber. Certain ranges also feature exclusive surface finishes such as distressed, lacquered, burnt, aged, hand-brushed or oiled that makes these floors hardly distinguishable from solid hardwood flooring. 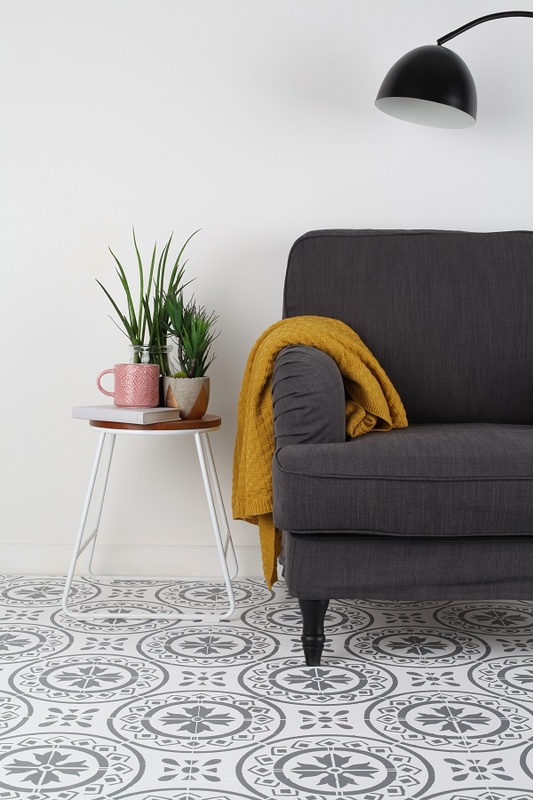 This post was written in collaboration with Lifestyle Flooring, the UK's favourite destination for high quality flooring with unbeatably low prices that will ensure you get the best value for your money. Renovations are an expensive business, especially when you factor in all the delays, last-minute changes of plan and unexpected costs. What you need is a clear, easy roadmap from start to finish, so a thorough budget is essential here. If you’re looking for help with budgeting, then head here. Whatever your budget is, however reasonable it is, there’s nothing wrong with looking for ways to come in under it, so here are some great ideas to help you do that. Some projects don’t actually need an architect, especially smaller ones that don’t involve too much internal remodelling. You can draw up the plans yourself if you really need to save money; just make sure they have all the necessary information and conform to your planning department’s format. It’s also possible to use a draughtsperson, as long as they have the right indemnity insurance; some building contractors can also draw up the plans as part of the service. There are so many glossy brochures and websites out there that you can easily be seduced into buying all your fittings from the big boys. This isn’t necessarily the cheapest or the best move, so concentrate on your designs and not about who actually brings them to fruition. That’s project manager, you’ll be relieved to know! Being PM means you select the contractors and suppliers. You can also decide which tasks, like painting, you can do yourself if you want to; this definitely saves money, but you’ll be surprised by how much time it’ll take up. 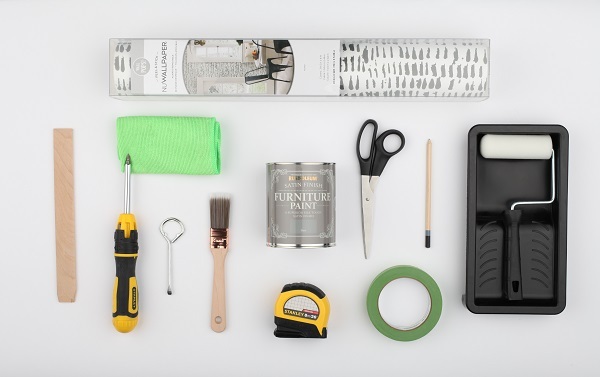 Getting all your supplies from one source saves time, but it often pays off if you spend a bit of time shopping around for sales, deals or by going halves on some supplies with a friend who’s also renovating. It’s surprising how much quotes can vary – sometimes by hundreds of pounds. The cheapest isn’t always the best, though, so take into account reviews and recommendations from family and friends. If you’re pulling out old woodwork and fancy bricks or digging up flagstones, can you use them elsewhere in your home? Not only does this save money, but it’s a nice nostalgic touch, especially if your renovations are quite sweeping. A classic example of this is when people buy mid-range cupboard bodies and finish them off with more expensive fronts and handles. How many times have you driven or walked past a reclamation yard or a showroom that’s selling its ex-display stock and spied something amazing? You see the bathtub, or the Victorian fireplace and you stop by, only to remember that you’ll have nowhere to put them until you need them. Make sure you have space in your shed, or maybe even hire a storage unit in advance so you can grab those items before someone else does. Over two million rural homes in the UK are ‘off grid’ with no access to mains gas, and so rely on alternative energy sources for heating and hot water – vital for a warm and welcoming home during the festive period. Oil is often the default option, and some properties use solid fuel or electricity. However, there is another option that has been growing in popularity in recent years – LPG. Firstly, it’s just like having mains gas, and LPG is perfectly suited to central heating and hot water, as well as cookers, gas fires and even tumble dryers! If you love to cook, you’ll have an instant, controllable flame and the additional reassurance that you can still rustle up dinner in the event of a power cut. Shockingly, the annual cost of rural crime in the UK has increased 13.4%*, and oil is often targeted as tanks are easy to identify and siphon oil from. Crime can increase in winter with the cover of darkness, and it’s also when most people stock up their oil tanks for the winter months, so you may want to look at a more secure way of heating your home. 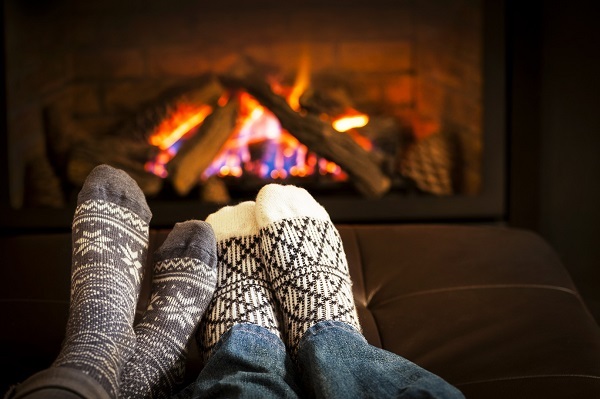 LPG is stored in tanks and is virtually impossible to steal, so you can put your mind at ease, put your feet up and relax in your warm and cosy home. An increasing number of homeowners are considering the environmental impact of their fuel choices too. Global warming and greenhouse gases are hot topics and initiatives have been introduced to tackle these problems. For example, the Government’s recently announced Clean Growth Strategy focuses on reducing carbon emissions and helping the UK become eco-friendlier. Calor makes switching simple with a number of tools to help you through the process, such as the helpful online quote tool that allows you to quickly see at a glance how easy it is to switch to LPG or BioLPG. Also, Calor’s handy LPG Boiler Installer tool provides you with details of gas safe registered heating engineers in your area. All you need to do is simply enter your postcode and you have a whole list of professionals who can install, maintain and service your boiler. Calor also gives back to local off-grid communities via the Rural Community Fund, which offers grants for projects that will improve local life. In 2018 a total of £50,000 went to 21 rural projects across the UK from as far as the Orkney Islands to rural Cornwall. For more information visit their Community Fund website. Entries can be used to help community centres, village halls, sporting venues as well as initiatives to support local schoolchildren and the elderly. With all of these reasons why LPG could be the perfect rural fuel choice for you, why not switch today? For more information on heating your home with Calor LPG and BioLPG, visit www.calor.co.uk or call 0808 159 7864. Polka dots are synonymous with fun. And with polka dots appearing on the runways by just about every notable fashion designer, it’s time to bring couture into your interior scheme by using geometric paint patterns to mimic the design. On the walls - Pashmina, Matt Emulsion. For the dots - Copper, Metallic Emulsion. On the woodwork - Jet Black, Non Drip Gloss. 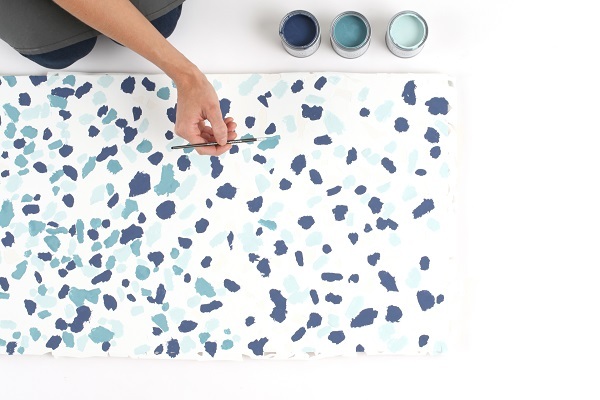 Alternatively, adopt the playful nature of the design, and create imperfect alternatives to the traditional pattern by painting freehand spots. Using metallic shades to create these shapes will add an additional layer of fun. On the walls - Hare, Matt Emulsion. For the dots - City Break, Matt Emulsion. All paints shown are from Crown Paints. City Break, Matt Emulsion, from £14 for 2.5l. Millionaire, Metallic Emulsion, from £19 for 1.25l. Pashmina, Matt Emulsion, from £14 for 2.5l. Striking, Metallic Emulsion, from £19 for 1.25l. For homeowners who are starting to find stairs a challenge, but love their home and do not want to move or downsize, Stiltz Home Lifts offer access to all areas of the home with a unique range of ‘through the floor’ domestic lifts. The Stiltz Home Lift has been designed to make life easier by providing a discreet and practical alternative to using the stairs making it much simpler to move around the house - all at the touch of a button. Unlike old-fashioned stairlifts, a lift can transport passengers from floor to floor in under 30 seconds, does not block up the stairs, is whisper quiet, and the larger lift accommodates a full-sized wheelchair. Who can a Stiltz Home Lift help? A home lift is ideal for any who has mobility issues stemming from an operation, accident or illness, who is asthmatic, suffers from a heart condition, or any other issue that means taking the stairs are a challenge. A Stiltz home lift is a safe, comfortable and stylish way to independently travel between floors. ﻿How does a Stiltz Home Lift work? With an intelligent, modular design the award-winning Stiltz Home Lift fits into almost any location in the home and is entirely self-supporting, so no load bearing walls are needed. The only work required is creation of a small opening in the ceiling for the lift to pass through between floors, and if you install one in the turn of the stairs, not even a ceiling aperture will be needed. The Stiltz home lifts are powered by a super-efficient, self-contained motor and plugs straight into a normal mains power socket – just like any household appliance. Which Stiltz Home Lifts do you offer? The Stiltz range is available in two models: the two-person Stiltz Duo+ Home Lift and the new wheelchair-accessible, three-person Stiltz Trio+ Home Lift which includes a gently-angled integral ramp for easier wheelchair access. The solid-sided, entry-level Duo and Trio Classic models feature a unique thru-car option allowing users to enter into through one side of the lift on the ground level and leave from the other side once it has reached the upper floor. What features does a Stiltz Home Lift include? Travelling between floors on easy-glide rails in under 30 seconds, the Stiltz Home Lift is elegantly curved with a clear car body. It is designed in a stylish pale grey finish with internal lighting making it safe to travel in day or night. It is packed with safety features including multiple sensors so everyone remains safe, an in-car control panel with hold-to-run controls and two remote control handsets to call the lift at any time. An optional seat is available. Where can a Stiltz Home Lift be installed? The Stiltz Home Lift is so versatile it can be installed from hallway to landing, living room to main bedroom or, for total discretion, cupboard space to cupboard space. It can even fit in the void of a turning staircase or take pride of place in the centre of a room or entrance hallway. How do I arrange an installation? 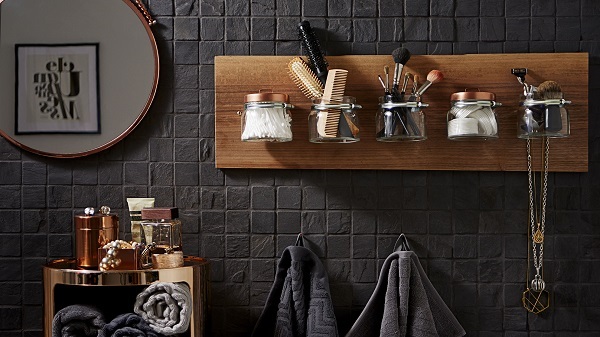 Since Bank Holidays were made for DIY, we thought we'd share with your today a little project that will help take the pressure off your bathroom storage. There's no getting away from it, even the most organised of bathrooms can soon get out of hand with shaving brushes, aftershave, cotton wool pads, eyelash curlers (to name but a few), vying for space. So try creating this space saving bathroom organiser made from upcycled mason jars, courtesy of Bosch. Perfect for even the smallest of bathrooms. The first step is to mark out the position of the jars on the wooden shelf. 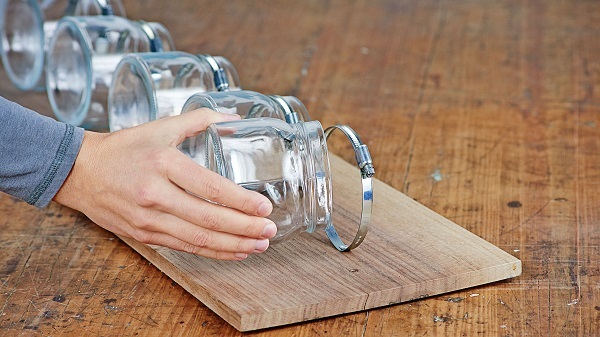 Position them so that the jars will be equidistant and centred on the shelf. The length of the shelf and number of jars are optional. Then pre-drill the holes that you have marked on the board using a thin wood drill bit. Next drill the holes using a rotary hammer drill. Before continuing, pre-drill the hose clips with a thin 3mm metal drill bit. Then fix the clips to the shelf with wood screws in the places you have marked out on the shelf. Last but not least, place the jars in the hose clips and tighten. Then fix the finished bathroom organiser to the wall with wall plugs, screws and a rotary hammer drill. Your eyelash curlers, cotton buds and shaving brushes now have a new home.